San Francisco has become the first city to ban the sale and possession of plastic water bottles in public space. This revolutionary move aims to rid our land and our oceans of millions of tons of waste. Perhaps South Africa will follow suit and make an effort to reduce our county’s waste products. 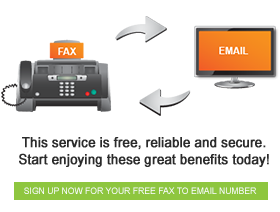 We all do our part, and online faxing is one of the easiest ways to go. Almost all beverages today are sold in plastic bottles, so if we do ban the product, we will experience quite an adjustment period. San Francisco will implement their plan over a period of four years, in which they plan to phase out water bottles that hold less than 620ml of liquid. In South Africa our cold drinks come in 500ml bottles, which mean their public sale could be banned. The thinking behind this project is that people will reduce and reuse, perhaps using bottles to store liquids at home. Between 10 and 15 million plastic bottles are recycled every year, but with 30 billion bottles sold, the rest end up littering our land, oceans, street, and environments. The average person uses 167 bottles in a year. 167. How many of those do you recycle? When it comes down to it, we all need to do our part to minimise the amount of waste littering our country. The banning of plastic bottles will certainly have a great effect on our country and our environment. Not only that, but we will also be reducing waste in landfills.